CrossFit 614 is an official affiliate of CrossFit and one of the oldest CrossFit facilities in Columbus. 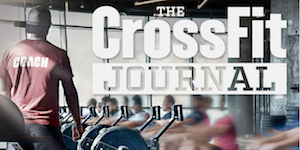 CrossFit makes up a large part of our programming and is constantly adjusted to meet the needs of our members. Our expert coaches can modify any work out to be challenging to any member–and do so on a daily basis. CrossFit is not a specialized fitness program but a deliberate attempt to optimize physical competence in each of following ten recognized fitness domains.